Raspberry Pi WiFi adapters Successfully setting up a WiFi adapter on the Raspberry Pi depends on the right choice of the appropriate WLAN adapter. The selection of Wi-Fi adapters for the USB is huge. But not all adapters are equally well suited. The device can be easily connected or with considerable effort. The reason is the different chipsets and the compatibility of driver and operating system. Successfully setting up a WiFi adapter on Raspberry Pi depends on the right choice of the appropriate WLAN adapter. The selection of Wi-Fi adapters for the USB is huge. But not all adapters are equally well suited. The device can be easily connected or with considerable effort. The reason is the different chipsets and the compatibility of driver and operating system. If you already have a wireless adapter, you can of course try it, but you should be prepared for problems. If you do not have one, you can get one. Compatibility lists are helpful or the hint in the product description shows that the WiFi adapter works with Raspberry Pi. For example, tested on Amazon and eBay Wi-Fi adapters are offered. Often an Edimax stick is recommended. Why that is so, is somehow not very clear. Initially, the driver support was not so good. Often you drove better with a noname Wi-Fi stick. There are usually Ralink chip in it, for which the distributions bring drivers. In the meantime, the Edimax WiFi adapters are automatically recognized and integrated by the Raspbian distribution. Raspbian brings the right driver. The question is also which design you should choose. The larger, the more space the antenna has, the higher the range. Conversely, the smaller Wi-Fi sticks of course have a lower energy consumption. But, the difference is not that big. 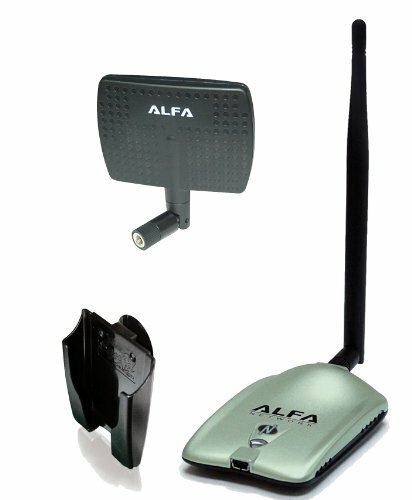 If you do not need a long range, so a few feet are sufficient, then you can safely access to a WiFi stick in the nano-construction. They usually have IEEE 802.11n with 150 MBit / s (theoretically). The larger, of which there are also those with external antenna, also master IEEE 802.11n, but with 300 MBit / s. In addition one must know that these 300 MBit / s are never attainable with the Raspberry Pi, because simply the connection to the USB controller for this speed is not designed. The larger Wi-Fi adapters are only good for having a possibly greater wireless range and not because of the speed. The mentioned compatibility lists sometimes do not help anymore. So it may happen that a model is recommended and noted as "working". However, it may happen that the manufacturers put different chipsets into the adapters of the same name models. If the distribution does not bring the driver then the adapter just will not work. Then you have to download and install the driver somewhere. If you have successfully completed the installation and set-up, there are more problems waiting for you. A problem has to do with power consumption. If the power is not enough for the whole system, then Raspberry Pi switches off the consumers and does not reconnect until enough power can be withdrawn from the power supply. The problem is that LAN and WiFi adapters are put back into operation, but remain out of service on the software side. The remedy is to use a better power supply or to operate the WiFi adapter to an active USB hub. Another problem is that the WiFi adapter automatically shuts off after some time of inactivity. So go into the energy-saving mode. This is certainly no problem in client mode because the WLAN adapter is automatically reactivated when it is used. But if you want to remotely access Raspberry Pi via WLAN, then no connection can be made. The WLAN adapter has finally turned off and gets nothing from the connection recording. It's as if the wireless adapter is not working. Remedy only by the fact that you turn off the power saving mode, which is different depending on the wireless adapter.